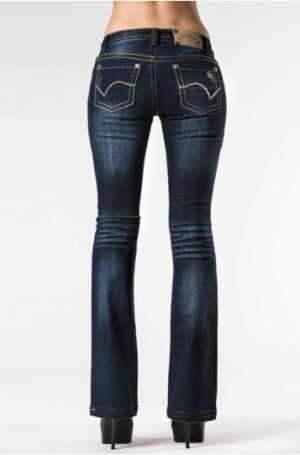 Medium wash jeans featuring light blue leather and crystal detail on back pockets. Detailed stitching. 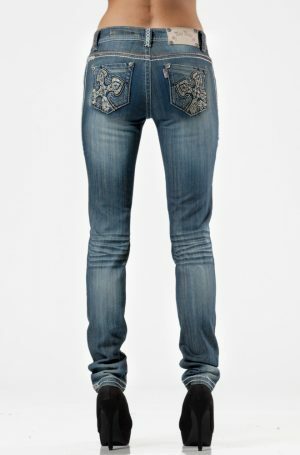 Signature studded hem. 34″ leg.